Everyone today is on social media, but there is one group that is sorely misrepresented: CEOs. Numerous studies have shown that when a CEO uses social media positively, it has a positive impact on the reputation of their company, attracts talent to the business and even impacts the bottom line with an increase in sales. CEOs who are active on social media also become more relatable and connect more with their employees, peers and customers. “One of the biggest excuses we get from senior executives is that they simply don’t have the time to be active on social media,” says Schutte. To keep pages fresh and to prevent connections from getting bored, Schutte recommends that opinion pieces are posted onto the company blog and then shared on personal pages on Facebook, Twitter and LinkedIn. In addition, CEOs should share online articles and information that they find interesting, and then include their opinion on the issue. The more information you provide about your professional background, who you are, and what you stand for, the stronger your credentials will be and the more trustworthy you will come across to potential clients, employees, suppliers, stakeholders and business partners. When it comes to maintaining a social media presence, you don’t have to do it all by yourself. It’s not uncommon to have a team assisting a leader to keep their social media feeds populated. However, to get this right you first have to understand the objectives and brand that the leader wants to portray. In an increasingly social business world it’s clear that CEOs should do more than just be on social media – they should lead the pack. 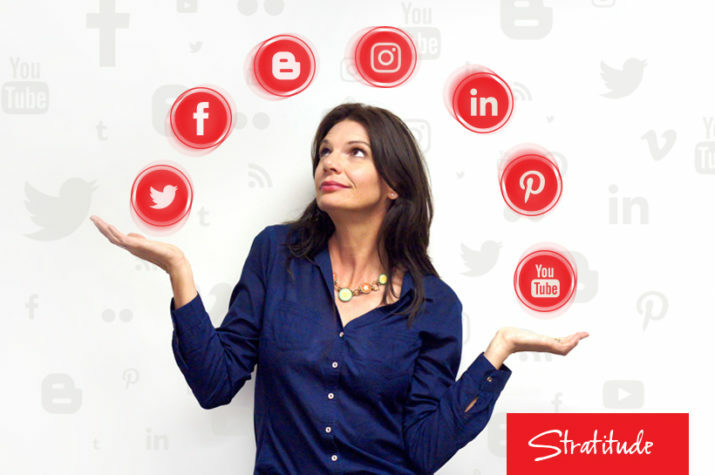 Stratitude is a one-stop, integrated marketing solution that provides exceptional, measurable outcomes across all communication platforms. This award-winning agency focuses on results-driven solutions, to help organisations build more rewarding relationships with their customers, employees and stakeholders, with marketing and communications that work for them. For more information visit www.stratitude.co.za or call 011 449 7333.